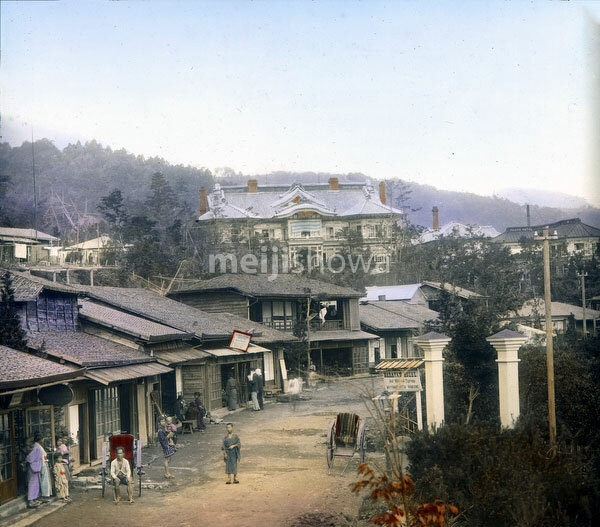 The Fujiya Hotel in Miyanoshita, Hakone, Kanagawa Prefecture was founded in 1878 (Meiji 11). It was the very first resort hotel in Japan. This glass slide dates from the early 1900s and shows a unique view of the hotel. The rickshaw and women and children are standing in front of the photo studio of S. Shima, a studio that still exists today.